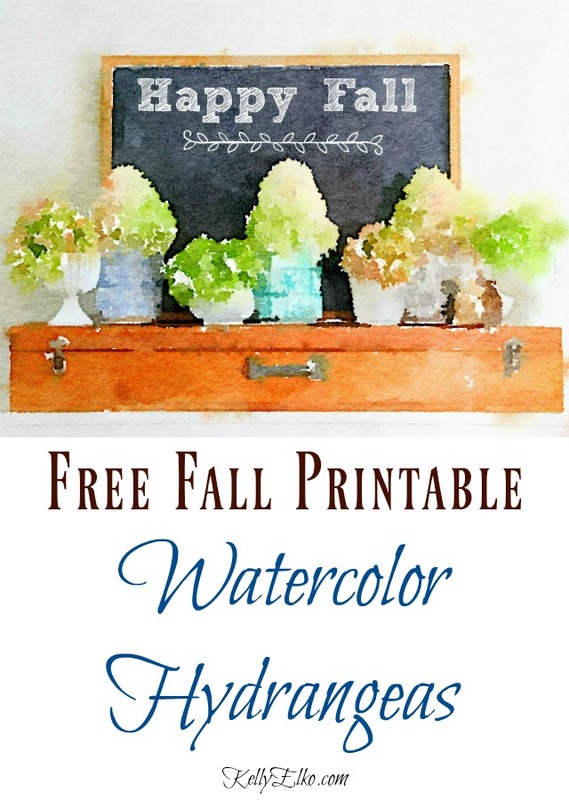 I wanted to share my bounty of hydrangeas so I turned My Fall Mantel into a free watercolor hydrangea printable for you! P.S. Don’t miss my super popular vintage corkscrew printable HERE. 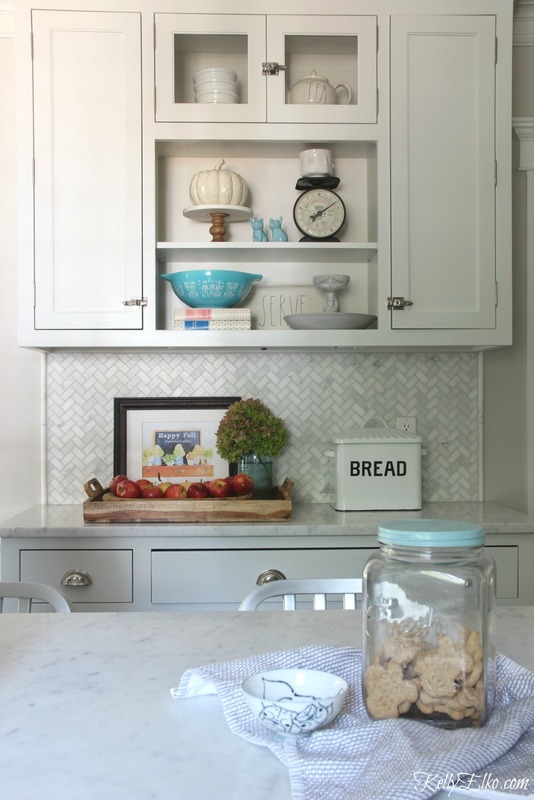 I love adding art to unexpected places like the kitchen counter. All that’s missing is an appletini! 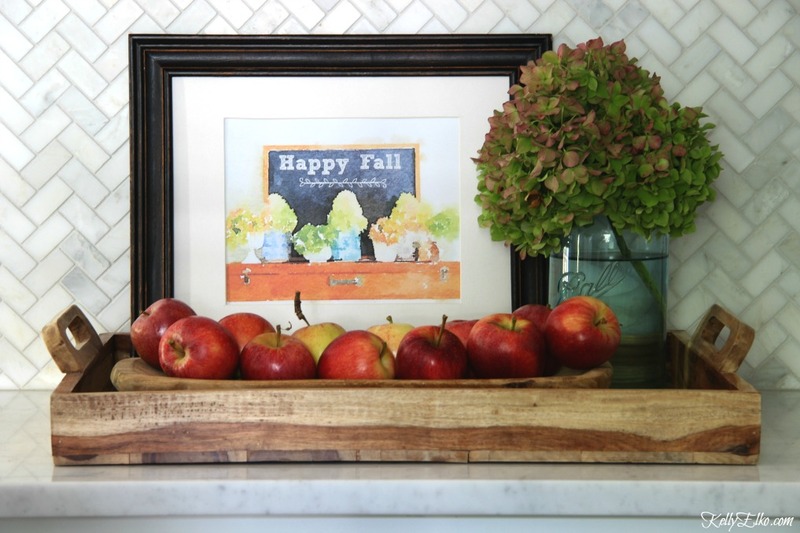 « Previous: Fall Mantel and My KISS Mantra! 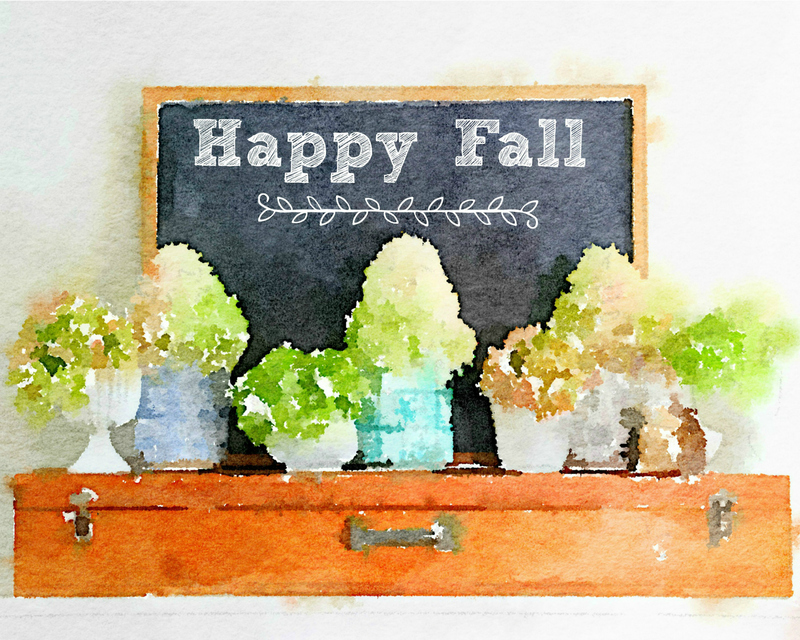 Such a cute printable Kelly!